There’s no doubt about it, you’ve earned it. It’s that time of year when the sun lounger beckons and you’re looking forward to taking a break from your business. But what to read while you’re whiling away the hours? Even if you’ve got an action-packed schedule lined up, you’ll still want some time to kick back and unwind. The latest thriller may be on the cards, but what about a book that feeds your brain? 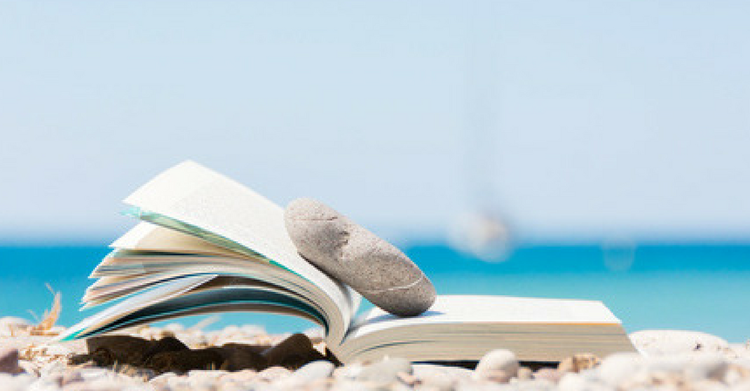 After all, vacations are often when we have our best ideas so why not give your creative spirit a helping hand by reading a book that can give you a new perspective on your business? To make things easier for you, here are eight of the best books I’ve read about business, and also a couple about the craft of writing (just in case you’re inspired to start writing your own book when you get back). Why not pick a couple to pack in your suitcase or your Kindle this summer? What I love about this highly readable book is how Botsman takes the twin subjects of trust and technology – both highly topical – and brings them together. She explores how the clever use of technology can help win our trust as consumers, but also how it can alienate us if implemented with the wrong aims in mind. A brilliant read, and even more thought provoking if you’re a business owner wanting to develop your use of technology. Never Split the Difference: Negotiating as if your life depended on it, by Chris Voss. A highly entertaining and helpful read about negotiation skills, based on the author’s experience as a former FBI hostage negotiator. Peppering his negotiation advice with hair-raising stories from his FBI days, Voss lifts the lid on how our minds work in negotiation situations and reveals how tapping into your counterpart’s emotional state is far more effective than using reason and logic. Some of the techniques he gives are ones you’d never think would work in a million years – and yet they do. If you’ve ever wondered why business has to be hard, the answer is it doesn’t. This extraordinary story of one man’s journey from hippy traveller to CEO is testament to the fact we can left life make decisions for us, rather than insisting on being in control. I guarantee you’ll come away from it with a completely different outlook on both work and life. Just try it. Despite this having been published seven years ago and being based on research that’s been around for decades, it amazes me more people don’t understand this book’s pivotal message. Which is that what really ‘drives’ us to achieve great things is our sense of intrinsic reward, not rational-seeming paybacks such as money. In fact, we perform better when we’re rewarded intrinsically. So why do we reward our staff with bonuses and constantly push ourselves to earn more? Pink explores this and gives solutions in his book. The perfect read for a couple of weeks when you have less to do than normal. McKeown paints a picture we can all recognise: a life crowded with too much going on. The thing is, once you give yourself permission to stop trying to ‘do it all’ and learn to say no more often, you can do a much better job on the tasks that matter. Stuff we all know, right? But here’s where this book stands out because it’s crammed with inspiring stories and helpful advice for how to actually achieve ‘one task at a time’ nirvana. In Priestley’s words: ‘There are people who don’t chase clients. Clients chase them.’ Whatever business you’re in it’s great to know you’re fully booked, because you can raise your prices and pick and choose who you work with more selectively. The book takes you through how to create the kind of business that has the potential to be oversubscribed, and gives strategic and tactical advice on how to get your marketing and team right so you can ramp up your sales. All from someone who’s been there and done it. And as promised, here are two books about writing your own business book that you’ll find incredibly useful. 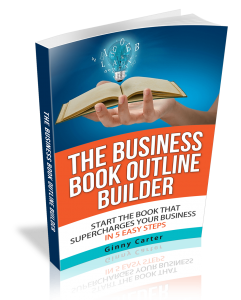 Written by a publishing and business book expert, this takes you on a step by step journey through making sure your business is right for a book, to planning it, writing it, and launching it as a bestseller. It’s highly snackable, being written in small chunks, eminently readable, and totally practical. If you only read one book about how to write one, this should be it. When I coach business people to write their own books, I often find the crafting of stories to be their biggest challenge. Cron takes you through how to set up and weave a story so your readers can’t put it down – and isn’t that what we all want for our own books? The best bit about this one, though, is how it reveals the psychological secrets about why certain types of stories work best. This is made clear by each chapter being split into a ‘cognitive secret’ and a corresponding ‘story secret’. You’ll never read a story in quite the same way again. P.S. The links I give here are to affiliate UK Amazon links. If you’d like to bypass them you’re welcome to search separately for the titles you’re interested in.